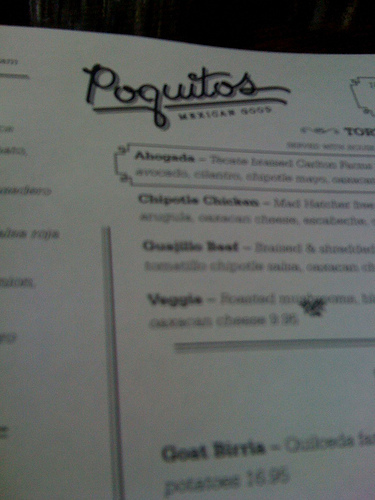 Poquitos was already packed when we arrived. The circular bar was over-flowing with people enjoying some of Poquitos custom cocktails. We sat in one of the booths off the bar. 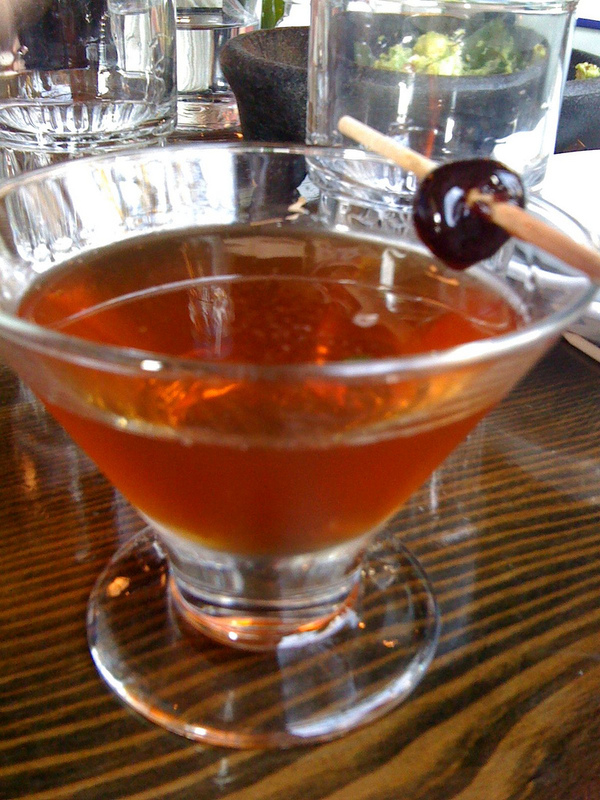 I started with one of Poquitos drinks called an Alabanza (Tequila Manhattan) – Anejo tequila, Carpano Antica, mole bitters and angostura. This drink was very tasty! Good enough that I ordered another. It was garnished with a cherry on a stick. 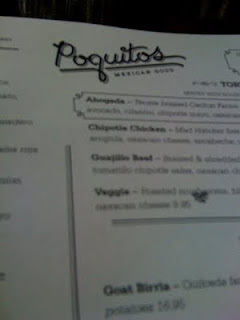 For dinner I went with their Carnitas. 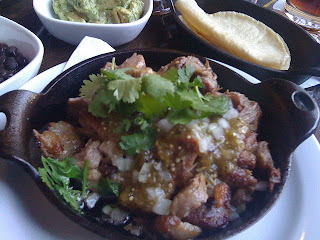 The pork came with guacamole, cilantro, onions, lime, salsa verde, and they were served with beans and flour tortillas. The Carnitas were good and flavorful. There were a few pieces of pork that were pretty tough, but overall it was good. The serving size was just the right amount to fill me up. I was a little disappointed in the beans. They were pretty bland. I was hoping for some spice or flavor to be added to them.